Long ago, when my both my boys were under three and I was still perfecting the art of smiling while drowning (lest anyone should think I couldn't cope with motherhood), Son2 momentarily died. For more than a moment, but less than a minute, he was clinically dead, not breathing and with no heart beating. It was, we later discovered, his first attack of Reflex Anoxic Seizures (RAS) a heart rhythm disorder that causes a non-epileptic blackout and is, thank God, always reversible. We didn't know that then, but by the time the ambulance had arrived he was almost back to normal. There is always a trigger, such as an unexpected pain or fright but for Son2, the trigger was anxiety; I was halfway up the stairs and my darling boy didn't want to be left behind without me. He would go on to suffer up to three attacks a day for the next two years and you could never predict when it would happen. Scary stuff. At the time, 2000, I was helped by the- then- kitchen table charity, STARS, founded by Trudie Lobban. In return, I volunteered for them for many years using my PR and journalism skills, which also kept those skills up-to-date. Volunteering is an excellent way to keep your hand in the game, I learned. There are many kinds of syncope (blackout) that STARS covers, including a condition that Son2 now has, Postural orthostatic Tachycardia (PoTS)*. After years of being free of the symptoms of RAS, the hormones of adolescence can often restart the condition and this is how it has manifested for him, along with Ehlers Danlos syndrome*. As you know, I also have these syndromes and they aren't much fun for me, so it must be much worse when you're a young person. And there are many out there whose symptoms are utterly devastating. For Son2, it meant only clocking up an 80% attendance at school in his GCSE years but, I'm thrilled to say, his results are pretty stellar even so. (I'll write more about the support he had soon). For many years, STARS has held a Patient Day as part of its annual international Heart Rhythm Congress in Birmingham This year's event on Sunday 4th October, will look at living with blackouts/syncope (pron: sin-co-pe) while the afternoon is mainly dedicated to PoTS. There's also a presentation from world syncope expert, Dr Blair Grubb as well as parallel events for patients with other kinds of heart rhythm issues. PoTS is one of the many conditions where patient engagement and self-management can make a huge difference to quality of life. But to do that, people with PoTS (or similar rare conditions) and their carers need information, up-to-date knowledge and most of all support, because it's a long term condition and expert knowledge among GPs is not commonplace. It's almost always the case with rare conditions that the patient/carer becomes an expert themselves and ends up educating their local medical practitioner. Misdiagnosis can be far too common. In fact, I think STARS was a pioneer in the UK at involving patients/families in such an integral way and holding events where (shock!) patients could mingle and share knowledge and experience with practitioners and experts. You can guarantee that everyone comes away having learned something new. The notion of "patient involvement" has been catching on and despite the lack of buy-in from health we saw with the special needs reforms, elsewhere, charities and patient organisations have put patient advocacy front and centre as it should be. There's even a hashtag #patientsinvolved. The NHS is doing its bit too, with patients becoming integral stakeholders and there are many opportunities to get involved. Pharma and medical device companies have been catching on too - they have deep pockets and are seeing the many benefits of working with patients. However there are still far too many areas where the patient is still seen as the "grateful recipient" of whatever medical professionals decide they can have. Respecting the patient/advocate viewpoint has never been more important, particularly when many parents are saving the NHS thousands by acting as de facto 24/7 unpaid nurses for their complex children. I would definitely recommend attending patient conferences or even webinars for whatever condition your family is living with. Knowledge is the first step to becoming a confident advocate for yourself or your loved one. This is the future of healthcare, where patients' views are valued and they are partners in their treatment however they can be. 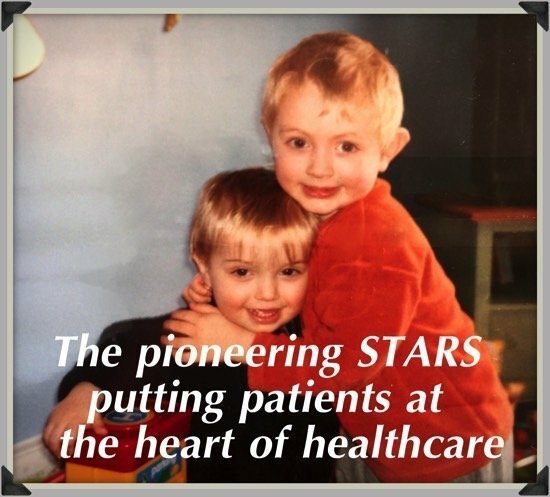 So, if you have a child or family member who is affected by a heart rhythm problem, or if you are yourself, do consider attending the STARS patient day (and don't wait too long as they do fill up). I know from attending myself this and other, similar events before now, that the welcome is warm, there will be people who want to chat with you and you really do come away with new information and ideas. If you are hosting a conference, let us know and we'll share it on our social media.